WELCOME TO CARPINTERIA..."THE WORLD'S SAFEST BEACH"
A relaxed and charming small town ambiance makes this close-knit community of approximately 15,000 people a great place to call home and a delightful place to visit. 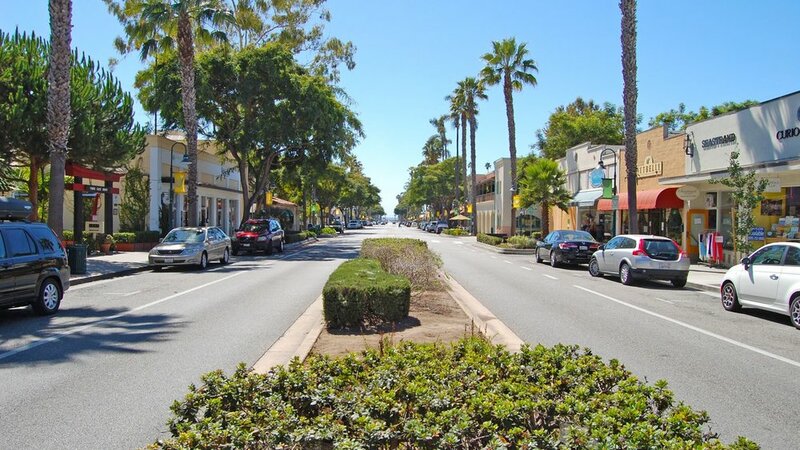 Unlike other towns of its size that must rely on a single enterprise -- such as residential, agricultural, business or tourist endeavors -- Carpinteria incorporates all of these things to maintain its place as a vibrant and truly self-sustaining community. Its charming downtown core offers a diverse selection of restaurants, shops and small businesses, while its residential choices fill the spectrum, from modest bungalows, to beachside condominiums and multi-million dollar estates. Running the entire length of the town, Carpinteria’s versatile and much-loved beach is a true year-round playground for children and adults alike. Actually two contiguous beaches – Carpinteria City Beach and Carpinteria State Beach & Park – the expanse of sun, sand and surf offers something for everyone. In addition to its beautiful beach, the community is home to nearly a dozen public parks and a wonderful community pool. Balancing recreation with education, Carpinteria is proud of the schools in its respected Carpinteria Unified School System, and hosts two prestigious private schools – Cate and Pacifica Graduate Institute.